Ventaja Nutraceuticals™ Lutein is a macular defence supplement containing lutein (found in the macular area of the eye). 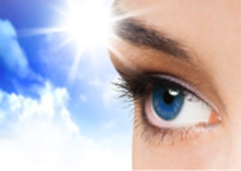 Provides protection to the macular region of the eye from harmful blue light damage. Helps to increase the density of the macular pigment in the eye. Convenient one- a- day dosage. 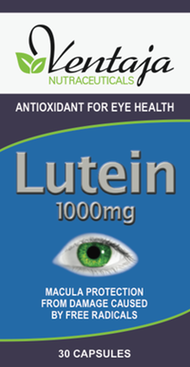 Lutein is a a carotenoid naturally found in the human eye. The highest concentration is found in the macular area of the retina. They are also present in the lens. In the macula, lutein naturally forms a layer of yellow pigments called the macular pigments, which serves as an effective natural filter of the most damaging light (near-to-UV blue light) that reaches the retina. Supplements containing natural lutein esters have been shown in human trials to increase the density of the macular pigments. Higher macular pigment density is associated with healthier eyes and the retention of youthful visual sensitivity. In addition to absorbing potentially harmful light, lutein also functions as an antioxidant and may decrease the life-long cumulative effects of oxidative damage to the retina and lens.